Sporting Lisbon Camp - Day 2. Blog Sporting Lisbon Camp - Day 2. 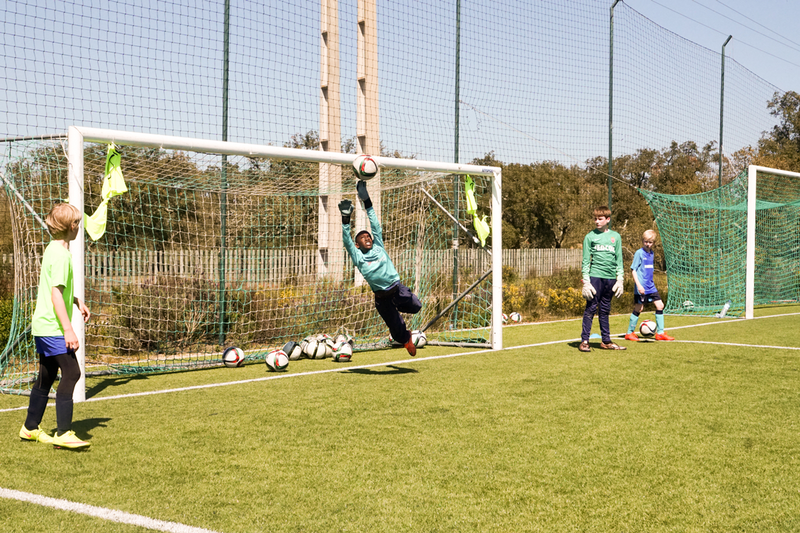 Sporting Lisbon Camp – Day 2. Boys were up and ready this morning after a good night sleep, raring to go with the sun shining and the blue skies beckoning. After a good breakfast the team had a great morning session some drill work with their Sporting Academy Coach Nuno, and European Football Academy Coach, Nuno (yes you read it right, both called Nuno, which makes it easy for the kids to remember). The boys were in good form and the drills started to take much better shape as all the academy players started learning and performing at higher speeds. Lunch time gave them a break and some time to rest the body after the intense first session of the day, one or two grabbing a quick nap before the second session of the day. The afternoon session saw some tired bodies putting together some nice scoring drills and putting our goalkeepers through their paces. Late afternoon, Academy Players George, Harry, Pete and Amadu took part in the older age group training sessions with the Sporting Academy teams. The intensities were a lot higher to anything they’d experienced before, but they were up to the task and put in great performances proving they deserved their places in the Sporting training squads for this week and gained the respect of the Sporting players they were training with. The EFA coaches were really proud of the way they represented themselves and the Academy. Our younger players Patrick, Jacob, Tommasso and Pedro played for the Sporting Academy tonight and were outstanding in their matches, scoring 9 goals and assist between them …we might have to be fighting off the Sporting Scouts to stop them being signed and keeping them here in Portugal, these guys were on fire! A few aching bodies and tired eyes at the dinner table tonight meant the boys were in bed a lot earlier. Overall our first two days have been great with some real highlights during training and the players representing us within the Sporting Academy teams.